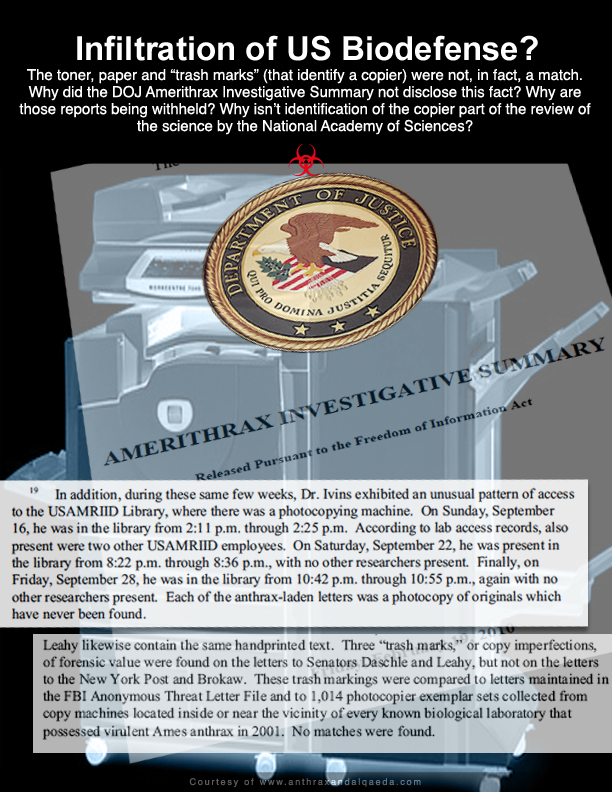 2012 March « CASE CLOSED … what really happened in the 2001 anthrax attacks? It is 1478 at the very peak of the Italian Renaissance in Florence. Benjamin and Esther Catalán are young Jews who have escaped the claws of the Spanish Inquisition and are brought to Florence under the patronage and protection of Lorenzo de Medici, the wealthiest and most powerful man in Europe. Their promising future is threatened, however, by a plot to murder Lorenzo and his brother Giuliano, a conspiracy organized by Pope Sixtus IV in Rome. As the fast-paced plot moves forward, Benjamin and Esther’s often heroic struggle to build their new lives is set against the evolving progress of the Pope’s plan. Esther Catalán, a woman unlike any other ever seen in Florence, shows blazing intelligence and engaging style as she sets the Catalán Press on a path to print previously unpublished works of Plato and the Jewish Talmud. Her friendship with Lucrezia de Medici, mother of Lorenzo and Giuliano, offers a unique look into the lives of one of the most famous families in history. Benjamin Catalán surprises Lorenzo with his boldness and political acumen. He develops a close friendship with Giuliano, involving football, hawking and hunting with a cheetah. Both Benjamin and Esther become integral participants in the cultured and opulent Medici inner circle even as they seek to re-make their Jewish life in an environment that resembles the anti-Jewish furor they experienced in Spain. Directed from the Vatican, the net around Lorenzo and Giuliano tightens. Rumors of a possible attack are reported by Medici spies. 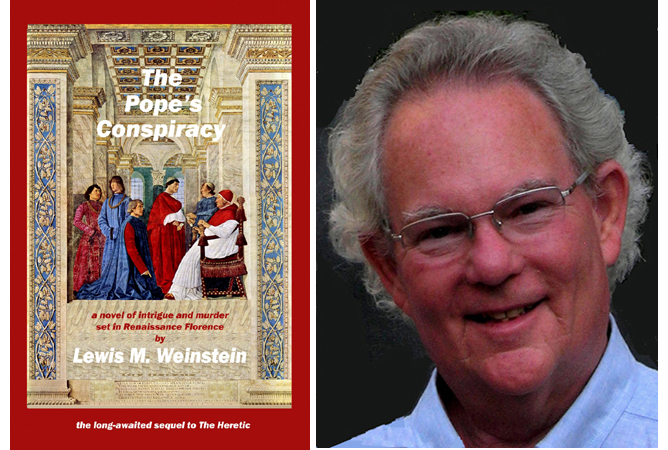 Benjamin joins with the Medici family to try to thwart the conspiracy. Lorenzo refuses to believe the Holy Father is brazen enough to attempt murder almost to the day the would-be assassins arrive in Florence. 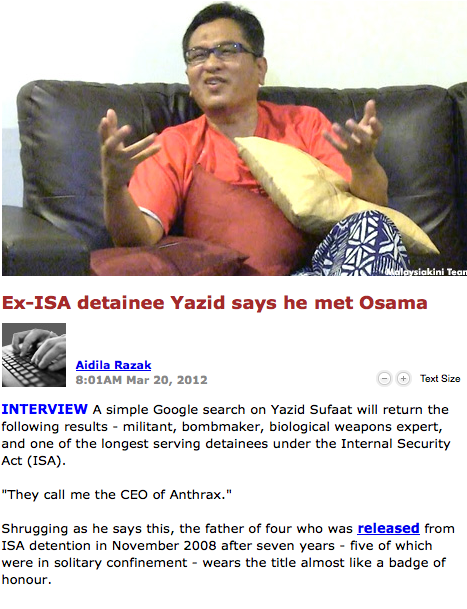 Among the longest-serving ISA detainees in history, Yazid, currently under travel, asset and arms deals sanctions imposed by the United Nations, believes his incarceration has to do with his “expertise”. Trained as a biochemist on a government scholarship in the United States, this top student of the Royal Military College who retired as a captain with the army was part of a biological warfare programme under the Defence Ministry. Osama Laden, Yazid was hesitant to reveal details about the government’s “secret” programme which was later scrapped, describing it “a long story”. “When they (the police) first took me in, I didn’t tell them (about the government programme). I didn’t want them to know, didn’t want the liability to fall on the government, to pass the buck to someone else. “Finally, they managed to get a report from their ‘friend’ and they wanted me to clear things up. I didn’t want to clarify (anything), so they took my wife in,” said the father of four. His wife, Sejahratul Dursina @ Chomel Mohamed, was held under ISA for two months and after this was placed under a movement restriction order for six years. “If you want to be released from ISA, just follow what they say and admit to all the charges… I refused to do so and they kept me for seven years… because I don’t want to sing (Negara-ku). “I don’t want to sing. Why should I (when) the country had betrayed me?” Yazid asked. 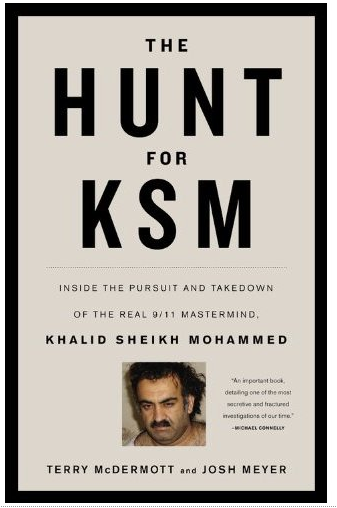 The other two individuals linked to 9/11 who stayed in the Sungai Long condominium were Khalid al-Midhar and Nawaf al-Hazmi – two of five hijackers of American Airlines Flight 77, which slammed into the Pentagon. The duo, according to the United Nations, had stayed at Yazid’s condominium in January 2000 to attend what the UN termed an “al-Qaeda conference” in Kuala Lumpur. “I was not there. At that time I was in Pakistan and Afghanistan, building a hospital there,” Yazid said. Next to the hospital, he said, was a laboratory where he is accused of developing biological weapons – an accusation not levelled at him during his detention under the ISA, but earning him the moniker “Anthrax CEO”. 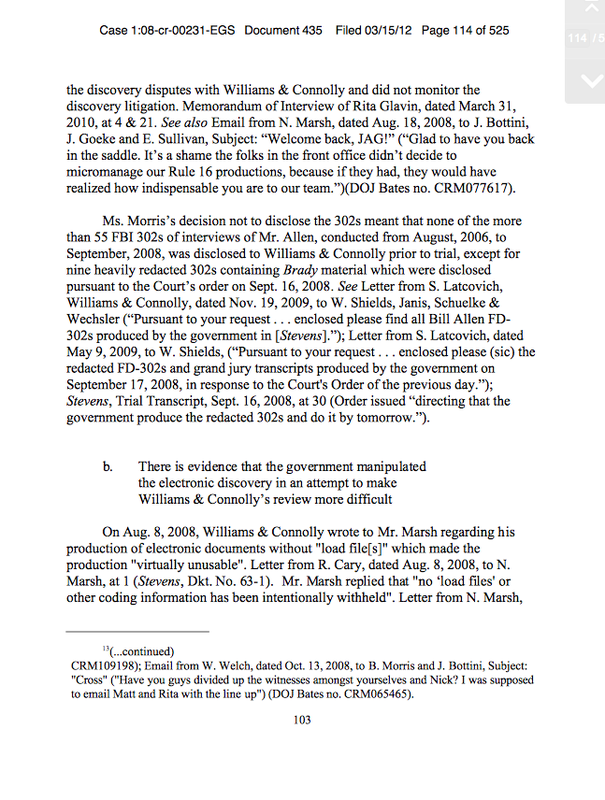 CBS News reported that US intelligence doubts that Yazid developed the anthrax strain, while a leaked Guantanamo Bay document posted on Wikileaks noted that a Yemeni detainee said Yazid had “poor lab techniques”. But Yazid said that he was in fact “successful” in developing some “bugs”, but the laboratory was destroyed when the Northern Alliance forces bombed Kandahar. “I can still find (anthrax) if I want to, but what for? It has no commercial value. Anthrax is only good for sabotaging, it cannot kill. 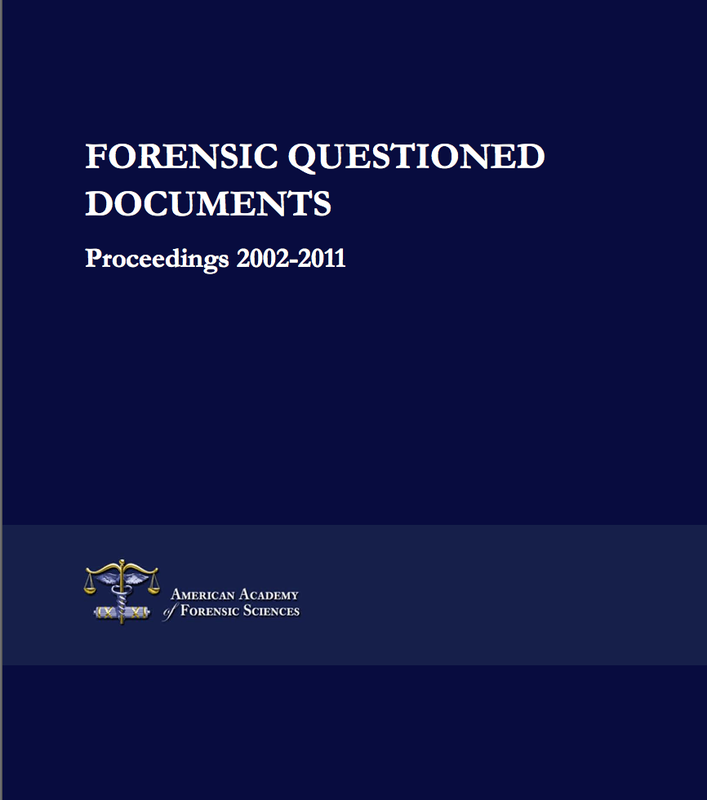 “The investigation and prosecution of U.S. 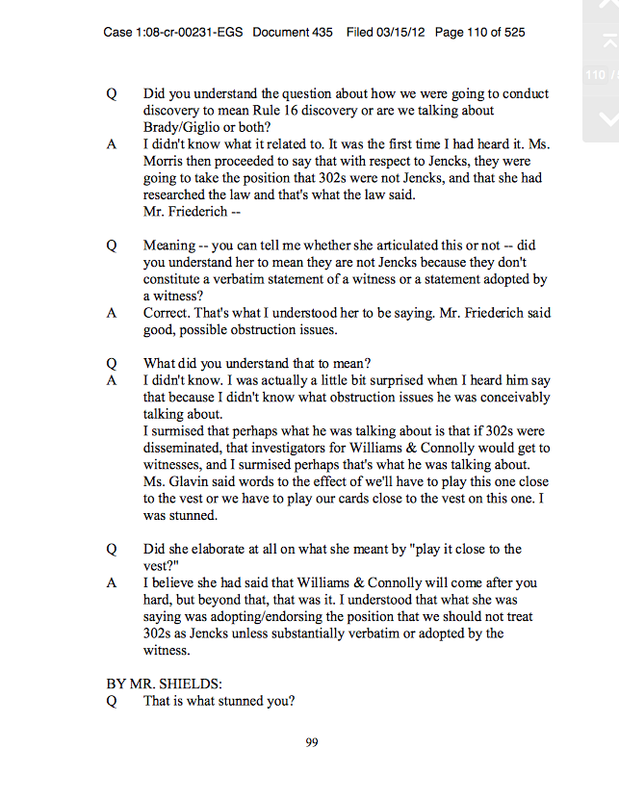 Senator Ted Stevens (by Federal prosecutors) were permeated by the systematic concealment of significant exculpatory evidence which would have independently corroborated Senator Stevens’s defense and his testimony, and seriously damaged the testimony and credibility of the government’s key witness,” wrote Henry F. Schuelke, the investigator assigned to the case. 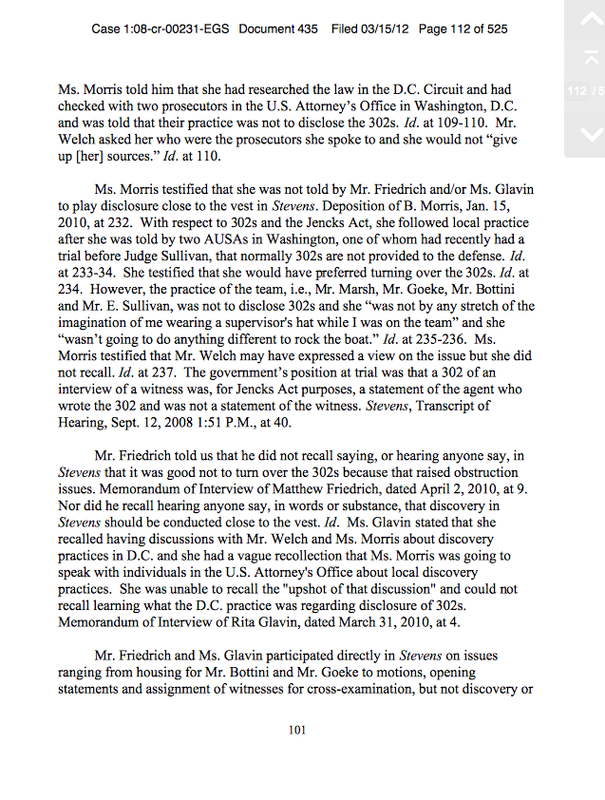 The report “confirms that the prosecution of Senator Ted Stevens was riddled with government corruption involving multiple federal prosecutors and at least one F.B.I. agent,” said Mr. Sullivan in a written statement. This sort of cheating by prosecutors and police happens far more often than most Americans suspect. It is a cancer on the U.S. judicial system. And it will never be corrected until those prosecutors and cops are themselves prosecuted and held accountable for their actions, which almost never happens except in a few high-profile cases like the Stevens and Duke matters. 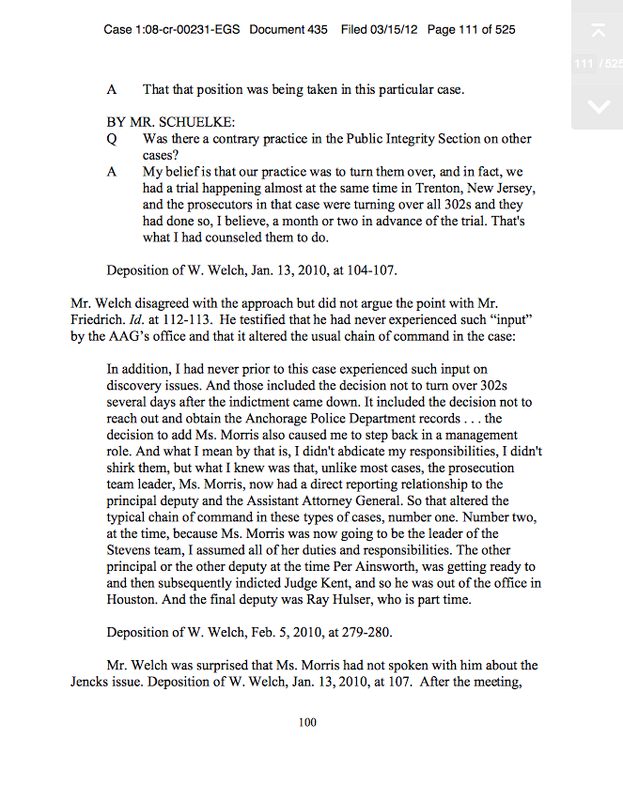 If you’ve been following the posts on this blog, you may suspect that there has been purposeful withholding of evidence which is exculpatory to Dr. Ivins. 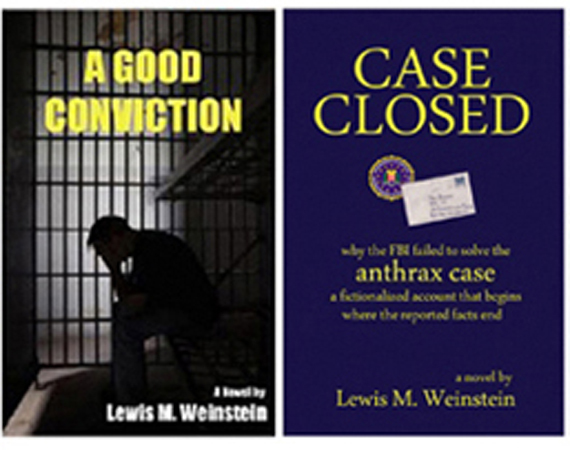 Of course, since Dr. Ivins committed suicide a few days before the FBI announced he was the sole perpetrator of the anthrax attacks, there was, conveniently for the prosecution, no trial, so the circumstances are different from the Stevens case. The principle of justice, however, is identical, although the aggrieved party is not a defendant in a criminal matter but rather the American people, who need to know the truth about the worst bioterrorist attack in our history. 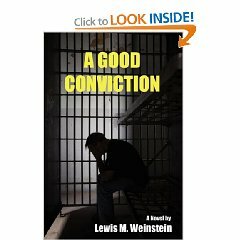 If this issue concerns you, you might like my novel A Good Conviction which tells the story of a young man found guilty of a murder he didn’t commit by a prosecutor who knew he didn’t do it and hid the evidence from the defense. 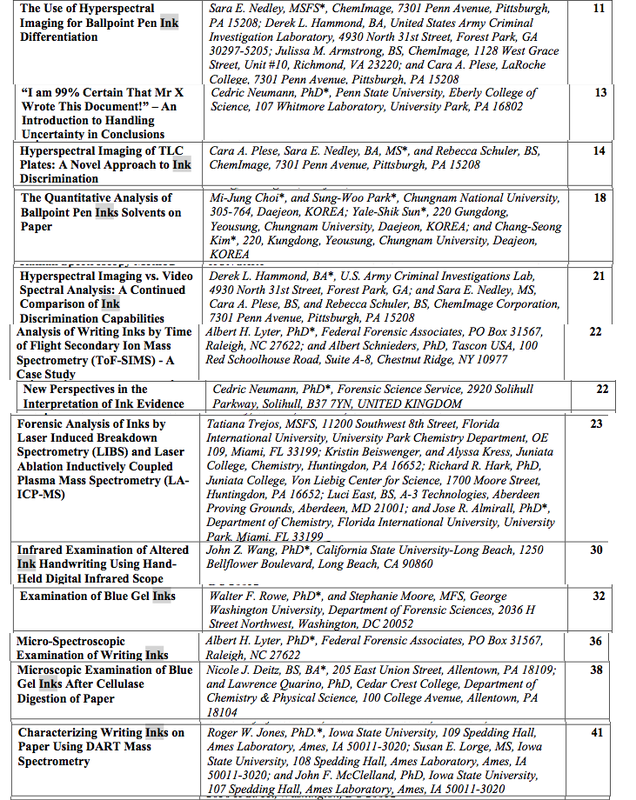 * PHOTOCOPIER TONER: In the hundreds of pages of photocopied exemplars taken from Dr. Bruce Ivins’ home and office, FBI Laboratory Experts determined that there was not a single piece of paper photocopied by him in which the same photocopy toner was used as in the letters containing the mailed anthrax. 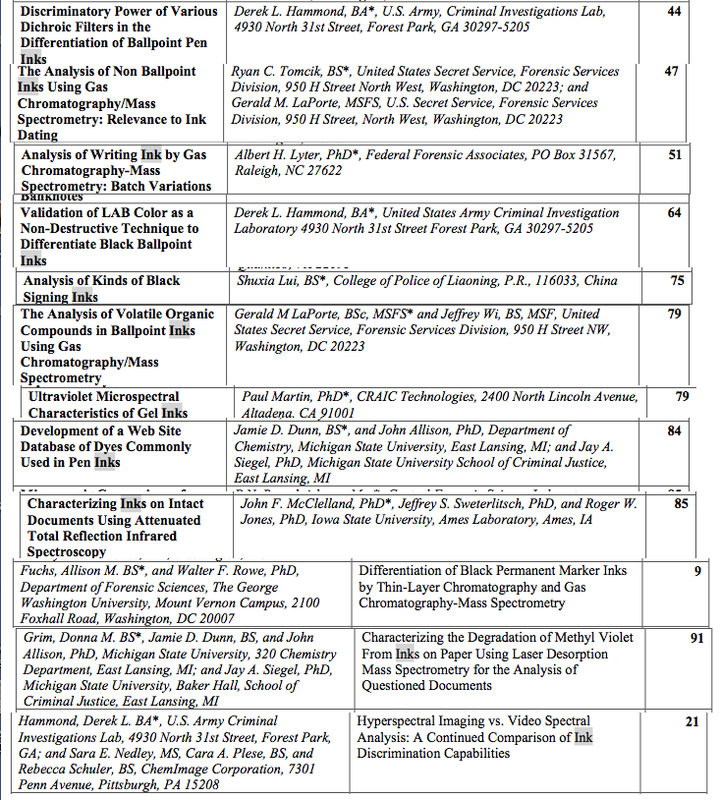 FBI should produce the laboratory reports to GAO on the photocopy toner used by the machine used to copy the letters without further delay. 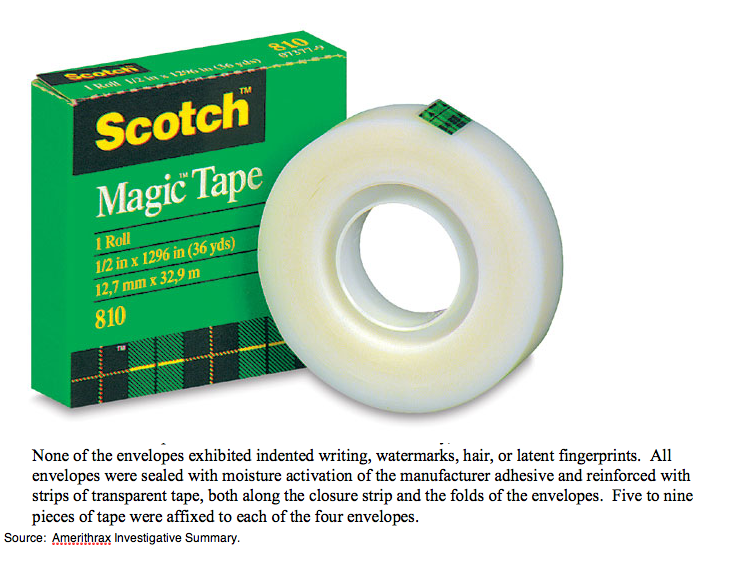 * TAPE: In the hundreds of pages of exemplars taken from Dr. Bruce Ivins’ home and office, FBI Laboratory Experts determined that there was not a single exemplar in which the adhesive tape used was a match with the five to nine pieces of tape affixed to each of the envelopes recovered. 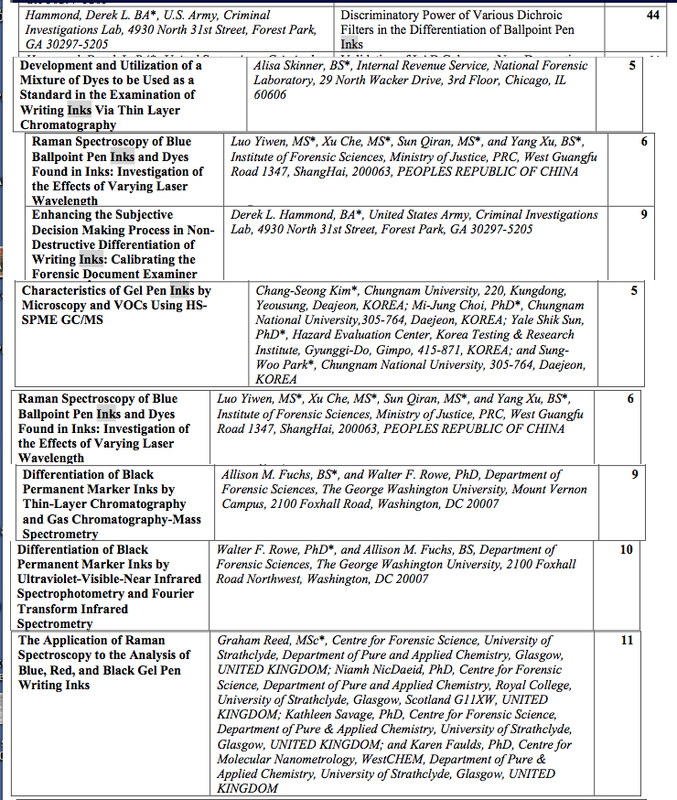 FBI should produce the laboratory reports to GAO on the adhesive tape used on one or more of the envelopes without further delay. 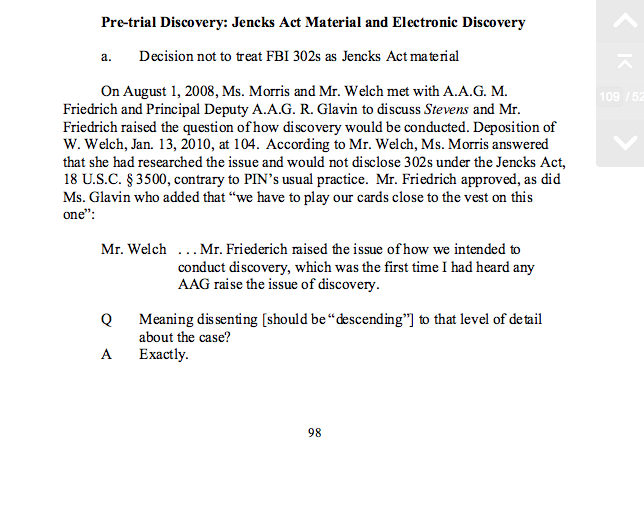 * FBI should disclose to GAO its examinations which reveal that there is not a single instance in which Dr. Ivins used the brand of pen used in the respective batches of mailed anthrax letters.